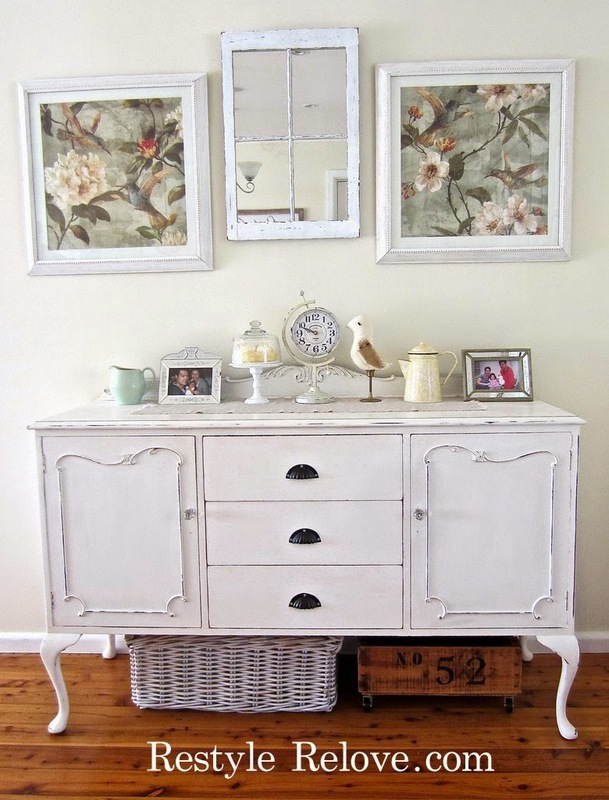 This is my beloved dining room sideboard. I had replaced out the original vintage hardware with crystal knobs and black drawer pulls. But after recently completing another sideboard, I decided to put back the original hardware. And while I was at it, I decided to give it a fresh coat of white chalk paint, a light distress around the edges, and a clear coat of wax. I think it looks so much better now. Okay, this is similar to a piece I'm going to paint. What shade of white did you use? Such amazing results you get. I love the hardware.